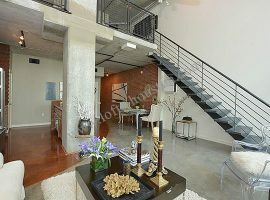 When it comes to Midtown lofts for sale, there is no question that you have a ton of lofts in Houston 77002 zip code to choose from. Midtown Houston condos represent some of the most impressive, varied dwellings in not only Midtown, but throughout the entire city of Houston, as well. 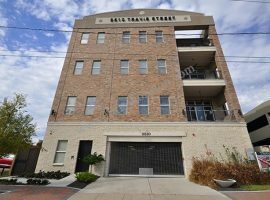 Living in one of these Midtown Houston lofts comes with two significant benefits. Not only do you have the opportunity to live in supreme comfort and luxury, but you also get to live in one of the most diverse, exciting sections of Houston to be found anywhere. Midtown Houston is just fantastic across the board. In the first place, you’re southwest to Downtown Houston, which is amazing in its own right. You’re also quite close to Houston’s famed Museum District. Furthermore, Midtown Houston scores points for also putting you within reasonable distance to the world-famous Texas Medical Center. In other words, Midtown lofts for sale offer a premium Houston location. Furthermore, the area is populated by several metro stops, as well as close, easy connections to a number of freeways. You can also count on Midtown Houston to offer a great deal in the way of restaurants, schools, galleries, museums, bars, nightspots, parks, and so much more. Midtown Park and Discovery Park are particularly popular. Montrose, Greater Heights, River Oaks, and Rice Military are just a few of the neighborhoods that are in close proximity. Historically speaking, Midtown Houston has seen a wild array of ups and downs, dating back to its emergence in the 1940s as one of the best residential areas in Houston. Today, it stands as a vital, dynamic, and profoundly important element to the fact that Houston, Texas is one of the most productive, exciting cities in the United States. 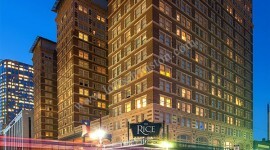 Rise Lofts is definitely one of the most exciting lofts in Houston 77002 zip code options that is available to you. Located at 2000 Bagby Street in the 77002 zip code, the sheer size of this building is going to grab your attention. Fifteen stories with a total of 143 units available for purchase makes this one of the larger Midtown Houston condos. Beaconsfield Lofts is nearby, as well. Living at Rise Lofts will unquestionably give you high-luxury accommodations in one of the most important areas in Houston. The striking, modern exterior gives way to reveal such features as polished concrete flooring, impressive lighting, granite countertops, and chrome faucet units. 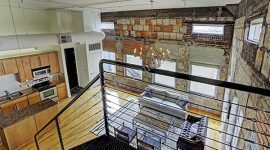 If you happen to purchase one of these two-floor Midtown lofts for sale, you may get the added bonus of a mezzanine level. A top-of-the-line HVAC system is included with every unit, which means you won’t have to worry about those sometimes-brutal Houston summers. Additional features include high ceilings, Halogen track lighting, swimming pools, digital thermostats, and much more. Over twenty-one floor plans are available, with units ranging from 586 square feet, all the way up to 4921 square feet. As you continue shopping for 77002 lofts for sale, keep that location in mind. Simply put, no matter which building you ultimately choose, you’re getting the same benefit of location. Midtown is a vast community unto itself. Midtown is so elaborate, it is sometimes easy to forget that it is only one part of Houston! All of our loft possibilities will put you right in the heart and soul of the region. 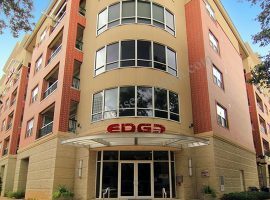 The Edge Condominiums is another significant example of Midtown Houston condos. One of the most recent addition to the array of Midtown Houston loft buildings, The Edge offers 93 units across six floors. Keeping in mind that living here puts you within walking distance of Downtown Houston, The Edge provides a large assortment of luxury features and exciting amenities. Comprehensive sound insulation between the walls and the floors is just one example of what you can look forward to here. Amenities include concierge, porter services, fitness centers, pools and spas, community centers, lobbies, media centers, and even a business center. In addition to offering a substantial degree of privacy to its residents, The Edge is also located within walking distance to a metro line stop. Midtown provides a comprehensive urban experience. 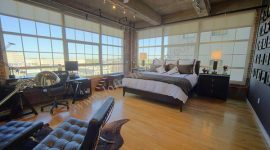 Whether you are a student, newlyweds, young professionals, or if you are someone who is looking for a place to raise their family, these (and other) Midtown lofts for sale can accommodate you. Taken as a whole, you are talking about dozens and dozens of floor plans, architectural styles, decors, and much more. There is a lot going on in Midtown Houston, but living in one of these lofts in Houston 77002 zip code, you’ll never feel like you’re surrounded by absolute chaos. 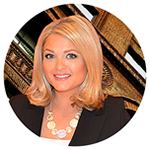 For information on buying, selling or leasing lofts in Houston contact the Realtors at 832.966.6699. Let’s find your ideal loft.